Obviously you’ll need some rocks. Pebbles we may say. You may need smooth, rounded stones. They need to be clean and dry. You may want to draw your design onto the rock with a pencil or a thin sharpie marker. Now, the best part: Paint it! Be patient and careful. 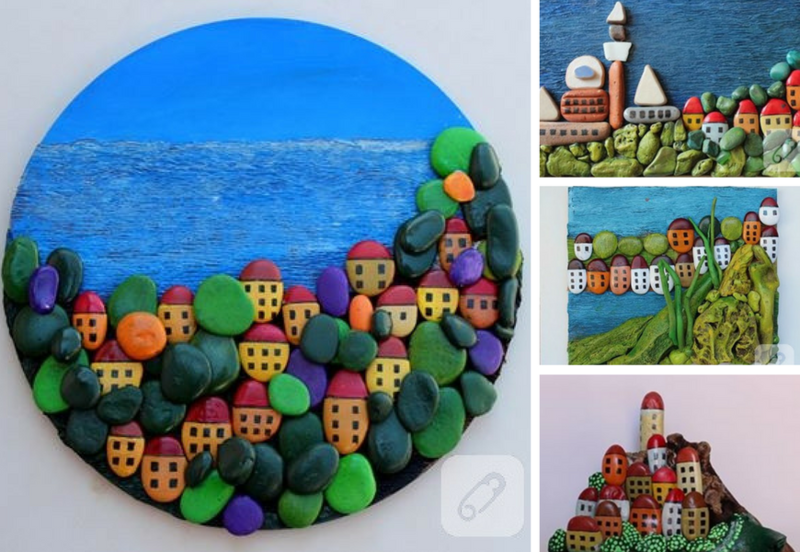 You can use water-based acrylic paints. You can also use point markers. They have many colors and they are easy to control. Selecting your paint depends on your design. After it completely dries out, use a sealer. You can use Mod Podge for that. You may want to look for acrylic sprays to make your design look brighter. 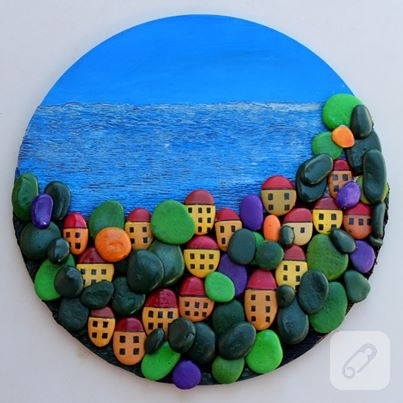 You may use your painted rocks as a magnet, as a paper weight, as any decorative object. Or you may want to design a bigger pieces like these summer house boards. You need to gather your stones up and design a collective piece with them. You can use silicon gun to paste them onto your canvas.